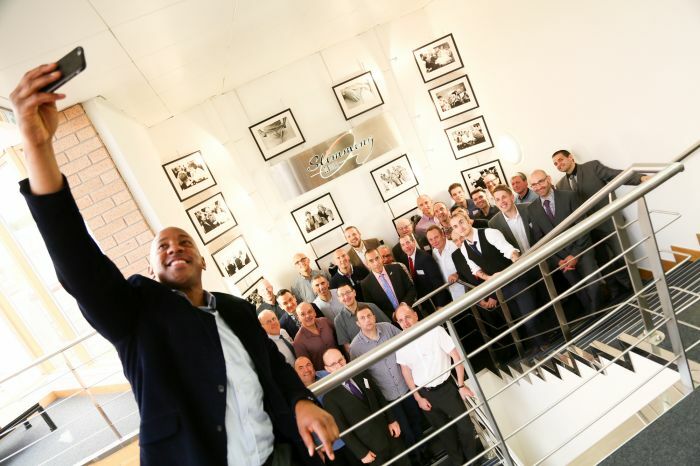 It was a pleasure to take along Football Legend and now TV Presenter and Pundit Dion Dublin to our clients awards day on 17th July. Dion was a special surprise guest, and welcomed all the finalists on the morning, congratulating them on their achievements, and sharing some stories from his career as a top footballer. He then joined the lovely staff at the on site Beauty Salon for a bit of pampering.